Four Schumann Pieces for Muntagirov (and others) would be blissful. Cinderella, Requiem, Concerto Barocco, The Four Temperaments, Apollo, Tombeaux, Scènes de Ballet, Les Noces. Swan Lake with a different ending. Woolf Works; other than that, I'd be happy with no new works by the 3 resident choreographers (though I know that's not going to happen). Commissions from Marston, Bintley and Ratmansky (though I wouldn't put money on that happening either). I wouldn't mind a season without any of the MacMillan biggies; I feel a bit emotionally exhausted by them (and will no doubt feel even more so after so many R&Js this year). In respect of ENB: I hope that Lest We Forget will remain firmly in the repertoire, and I'd like to see Etudes brought back. I also hope that the move to East London is a success. I can't wait to see what Akram Khan and Hofesh Shechter do next. January 2015 was the last year the RB danced Onegin, before that it was in 2013. Who were the Olgas in 2015? I remember Naghdi and Choe; maybe Takada also danced Olga? Who were the Olgas in 2015? I believe: Stix-Brunell, Takada, Hinkis, Naghdi, and Choe. Stix-Brunell was a debut, the others had danced the role in 2013. Hamilton danced Olga in 2010, as did Crawford. Edit: BBB got there first! I thought Choe danced it in 2010, or earlier? I know I saw the piece once before I started attending the RB regularly (in 2011) and looked back at my cast sheet a few years later once the names meant something to me. I'm sure Roberta Marquez was Tatiana and Yuhui Choe was Olga. Takada was first cast Olga with Muntagirov as Lensky. It never seems logical to me that a good Olga will make a good Tatiana - they're so different - but then what do I know?? That would be a logical reaction, but I've seen wonderful Olgas who were also great Tatianas: Birgit Keil, for example (though, to be honest, I loved Birgit in almost everything she did, so that may not be the most objective assessment). Sometimes younger dancers make great Olgas and as they mature and their artistry grows, become great Tatianas--Nunez for me falls into this category. Osipova years ago did a terrific Olga one time at ABT, and although she is not what I would summon as my ideal Tatiana, she is such a compelling dance actress that I think her Tatiana is great. I don't know if Sarah Lamb ever danced Olga but I was very taken in 2015 by her Tatiana, she was amazing! My comments are aimed at the RB, as they are the company I see the most of. I would like to see no money being wasted on new ballets by people such as McGregor for the main stage, and for the RB to stick to classical ballets on the main stage. If they want to experiment with modern stuff they can do it in the Linbury, which would probably provide a better setting for it. Instead, I would like to see the money being spent on reviving some of the things mentioned above, such as Cinderella. I definitely would like to see something other than A Month in the Country as one of the Ashton ballets on triple bills. I don't know why that one keeps being programmed, when there is so much to choose from. Personally, I adore Monotones 1 & 2. I love the idea of Coppelia, I haven't seen that for ages. As well as Onegin, I wouldn't mind seeing another Cranko ballet being brought into the rep. Does the RB ever do Pineapple Poll? I've only ever seen it by the BRB. And I've never seen any of his other stuff. But my main hope would be that the RB continues to dance things that enable them to maintain a fantastic standard of classical ballet dancing, with special emphasis on the things needed to master the Ashton style to perfection. Takada did (with Muntagirov as Lensky). I have a feeling Meaghan Grace Hinkis also played Olga in that run? Edited to apologise as there seemed to be a lag in the posts and I wasn’t aware others had already answered this! Perhaps the RB could do Ashton's R&J?? Lovely idea but who would mount it and would it be judged fairly by an audience with such a diet of Macmillan? The reason I ask who would revive it as so many of the details Ashton choreographed were abandoned by ENB practically before its first run had ended. They did, years ago. I saw it with Alexander Grant being a particularly virtuostic Belaye! Well, Peter Schaufuss owns the rights and would presumably want to produce it himself. My wish list for RB is ONEGIN (I think there is trend here! ), Swan Lake, Jewels and a Balanchine triple or quad bill e.g.Ballet Imperial, Apollo, Tchaikovsky pdd, Tarantella pdd, Symphony in C etc..and Ashton works (not M&A!). I'd like the Vienna Staatsballett to revive Snow Queen as I always liked that when ENB did it. My dream would be for The Lowry to get StaatsBallett Berlin over here with their fabulous new Ratmansky La Bayadere. Artistic Directors wield enormous power as their taste and their personal likes and dislikes, but especially their dislikes, can transform a company's view of itself; rewrite its history and by ignoring the full range of a choreographer's output and choosing to concentrate on works of a specific type he or she can transform his dancers' and his audience's understanding and expectations of a choreographer. This is how we arrive at Ashton as the creator of charming "twee" ballets and comfortable narrative adaptations of stage plays and MacMillan the creator of the British dram- ballet and challenging shabby little shockers rather than a serious classical choreographer.This is why I hope that whoever is appointed to takeover as AD at BRB cares as much about the company's back catalogue as he or she does about commissioning new works. I, for one, should like the opportunity to see some of the works which were revived by the company and won plaudits such as de Valois' The Prospect Before Us and Massine's Choreatium plus La Boutique Fantasque and works such as Cranko's Card Game and Les Brouillards. If Iain Webb manages to make a good job of his revival of Apparitions I would hope that BRB acquires it and sets about restoring Ashton's Capriol Suite; Valses Nobles et Sentimentales ; Façade and Les Rendezvous to its repertory. While I should like the RB to acquire Concerto Barocco and try Liebeslieder Waltzer again I think that Kevin needs to accept and understand that in his role as curator of the company's repertory he controls our understanding of the company's past as well as determining its future. He really needs to come clean about whether he intends ensure that major works in the back catalogue which are expensive to stage such as Les Noces, which is the jewel in the company's crown as far as its historical acquisitions are concerned, Song of the Earth and Daphnis and Chloe are going to be restored to the company's living repertory which is where they need to be if they are to retain the appropriate precision and stylistic vitality in performance or whether he intends to let them die through neglect. When he attended the Ballet Association meeting Kevin mentioned Les Noces in passing using words which suggested that he thought that occasional airings were sufficient to maintain it. The problem, as I see it is that works like Les Noces and Song of the Earth suffer when they are danced so infrequently that the majority of the dancers appearing in a revival have no previous experience of the work in performance. This results in performances which are little better than a print produced from a damaged plate which obliterates the finer details and the variety of tones of the original. The 2012 revival of Les Noces must have seemed to the bulk of the audience who attended those performances as little more than an act of misplaced reverent piety for a work which may once have had theatrical impact but is now little more than the resurrection of a balletic period piece of interest only to ballet historians. Song of the Earth may not be in quite such a parlous state but when last staged at Covent Garden it did not sit as easily on the company as it once did. The corps seemed uncertain and lacked precision and they certainly did not look as at home in its choreography as they do when dancing works such as Manon and Romeo and Juliet. The reason for the difference is that these two full length works are danced so frequently that it is impossible for members of the company not to know how they go and not to have the works deeply embedded in their collective DNA but with ballets like Song of the Earth and Les Noces the bulk of the dancers are new to the work and on a steep learning curve and because they are no longer revived with any degree of regularity each revival is largely a voyage into the unknown for the bulk of the cast. The sad truth is that ballets only live in performance. Works die if they are not performed sufficiently frequently and by pursuing his policy of occasional revival Kevin is well on the way to killing off a number of major works through neglect. So my wish for the 2019-20 season is not a simple list of works to be revived but a plea to the Artistic Director to review the entire back catalogue and undertake a systematic revival of works by Ashton and MacMillan which have not been seen in years. If cost is preventing the revival of masterpieces such as Daphnis and Chloe, Song of the Earth and Les Noces then I would happily forgo any McGregor for as many seasons as are necessary to ensure that these works are once more part of the company's living repertory. I think that we should be careful about calling for early Ashton ballets to be performed in the Linbury as I think that the marketing department could well establish that there is no demand for them by setting ticket prices at astronomic levels. While I think that Capriol Suite would be seen to best advantage in a small auditorium as might Apparitions most of Ashton's later works were seen on the main stage and worked well there. Two more works may be added to this list if Sarasota Ballet revive them successfully namely Apparitions announced for revival this season and Foyer de Danse. Iain Webb has told a local newspaper that he has a film of Foyer which suggests that more footage of the ballet exists than we have seen so far in documentaries. Among the neglected works are Ashton's Persephone which was made for Beriosova and was filmed and so is, in theory, revivable and his Romeo and Juliet which given its current ownership is, I fear, doomed . What was staged at the Coliseum in 2011 was a pale distorted shadow of the original. I assume that it was notated when it was revived for ENB in 1985. I understand that Ashton did a great deal of work with the young ice skater turned dancer who was the first cast Juliet and danced on opening night. According to her account she was supposed to help coach the other casts when it was revived but as they were senior and far more experienced they chose to ignore her. I should certainly want to involve her in any revival. Among the divertissements there are at least two miniature masterpieces. The Walk to the Paradise Garden which was the subject of one of the Ashton Rediscovered sessions and was danced for a few seasons during the early and mid 1970's and the Thais Pas de Deux. I should like to see both of them again but only if cast with care rather than with multiple casts the bulk of whom are unsuited to their roles. The Thais cast of Soares and Galleazzi which was recorded for posterity and can be found one of the Ashton DVDs is far from ideal. I should also be interested in seeing the Raymonda pas de deux which was also the subject of an Ashton Rediscovered Session given a new lease of life. As far as the MacMillan repertory is concerned his Four Seasons, Danses Concertantes and Solitaire would be at the top of my revival list with Concerto not that far behind. I think that the company should revive La Fete Etrange and Tudor's Lilac Garden in both cases going out of its way to cast them with care. Reviving the latter would at least give Scarlett another source ballet and save us from quite so much recycled MacMillan. Then there is Tudor's Dark Elegies which would have to be cast from among the mature Principals and Character Principals. It should consider acquiring works like Gala Performance and The Judgement of Paris and I would welcome a revival of Tetley's Pierrot Lunaire. Floss your lists look fascinating would love to see some of the earlier ballets of Ashton and the Tudor ballets. I remember the walk to Paradise Garden and it is a little gem. Although its a light ballet I wouldn't mind seeing Coppelia again. Perhaps by the RBS students even ...who may be getting more chances to dance on the main stage than just the once a year show. Floss, while I normally agree with just about everything you say, on this occasion I will voice my disagreement. If that appears at any time in the near future at the ROH, then I shall be propping up the bar while it is on. Sorry Fonty - I would actually love to see it revived too! I find it fascinating. Floss: I would certainly endorse any plan for the RB to stage Les Noces once again - a ritualistic piece of great force, and the origin of my admiration of Mme Yanowsky some 18 years ago. I have often seen it described as being expensive to put on but I'm never sure quite why. The ROH employs a fulltime chorus, does it not? And are 4 pianists any more expensive than the House orchestra? As to Les Rendezvous, is this the costuming you have in mind? I wish someone would revive Maliphant's Broken Fall. The ROH employs a fulltime chorus, does it not? And are 4 pianists any more expensive than the House orchestra? The Royal Opera employs a full time chorus who have a busy enough schedule as it is, and often require augmentation by extras. I have a number of freelance singer friends who have been gainfully employed in Royal Ballet choral works in the past, some of whom also work as extra chorus for the Royal Opera. I don’t see why they should make Les Noces uniquely expensive to put on by comparison with Requiem, Gloria, or (recent example) Yugen, so can only assume there’s another reason for increased cost. Thanks for pointing that out, Ruth. I hope Les Noces is back next season. Wonderful post from Floss above and I echo the same wishes. Capriol Suite and Valses Nobles et Sentimentales were danced at the end of the 80s. I would guess 1987/88, just before Ashton died. SWRB/BRB included Jazz Calendar in their first season in Birmingham, so 1990. Kevin O'Hare danced Friday's Child. I feel your comments about the film of Thais on DVD are far too kind. Many of FLOSS’ Ashton wishes have been recently performed in the US, incl JAZZ CALENDAR (Sarasota, spring 2015) and CAPRIOL SUITE (NY Th. Ballet, 2016). In addition to APPARITIONS (March 2019), Sarasota is about to premiere its reconstruction of VARII CAPRICCI to the Walton score (late Jan 2019). Yes- I think that's why some of us were hoping for a Sarasota guest season here at ROH to show us our own ballets.....! I, myself, have been surprised that Sarasota Ballet (which seem now to be the major spearhead in terms of the Ashton rep) have not appeared in London previously - especially as they have enjoyed popular seasons at NY's Joyce Theater. I wondered if it was perhaps because of any regional restrictions in terms of Ashton performance rights. Does anyone know? Perhaps they are restricted from performing such in and around the location of the works' origination. I know this has effected some works (say at ABT) when - for whatever reason - they were removed from an establishing company's rep. The only Ashton that I can remember being performed in London by a non-UK-based company recently (and I may be wrong here) was M&A by the Maryiinsky and the R&J as produced by Schaufuss - but then he now holds the rights to that given the fact that his parents were key participants in the original. If this IS the case I would suspect that we will never - well, certainly for the foreseeable future - see Sarasota Ballet in any Ashton on these shores. I'd like to see a mini-season of 2-4 mixed/triple bills of new work (maybe 3-4 shows of each bill so you can see them all, but no splitting up into convoluted arrangements like they did with the MacMillan bills), much like San Francisco Ballet do almost all the time (which is why I'm looking forward to their June visit to Sadlers Wells). That is a photograph of the most recently used of the Chappell designs. I do not know the complete history of the designs for the ballet. I know that the original designs were much more obviously Victorian in style than the one in your photograph. There is a photograph of Markova and her partner wearing the original costumes in a book called Gala Performance which was published to celebrate the company's first twenty five years. I have always assumed that Les Rendezvous was one of the ballets which the company took on their ill-fated British Council tour to Holland in 1940 and that it was one of the ballets which the company lost when they had their narrow escape from the advancing German army but that it was so popular that it was reinstated and given the designs which most people who saw the ballet from the 1940's onwards would recognise as belonging to it. I realise that Sarasota ballet has staged many of the ballets which I should like to see but that is of little assistance to those of us who live in the UK. I don't think it unreasonable to expect the company whose international reputation Ashton largely created to spend more time in staging the full range of his works and trying to get them right rather than expending so much time on staging second rate works like Winter Dreams. Macmillan at his best is a wonderful choreographer . If the company were to stage Song of the Earth every season I should not complain as it is by far his greatest work but l know that not everything that MacMillan produced is of that quality. The company treat him as if he were the greatest choreographer who ever worked for the company and yet he is a very variable chorographer.Some of his works would not be considered for revival if they were not his creations. I think that MacMillan's weakness in many of his ballets is his pursuit of balletic realism because he created a lot of works which were carried by their original casts whose performances later casts have not been able to emulate. Then there are works such as the Invitation which have dated very badly because of a shift in public understanding of the situations which they depict. The Invitation is a work which like Emlyn Williams' play Accolade depends for its effect on the audience taking a specific view of the characters which it depicts and having some sympathy for the predicament of all involved in the drama. When the audience is no longer prepared to have sympathy for the husband in the Invitation or the eminent writer in Accolade the works cease to work as effective pieces of theatre..
Ashton's strength. it seems to me, is what was once seen as his weakness, that is his unwillingness to tie his ballets down by putting cinematic realism on the stage. He knows the secrets of the human heart in a way that does not seem to come so naturally to MacMillan who will resort to bombast where stillness and the small quiet gesture would be more effective. Ashton's great and enduring strength is that his works are always concerned with dancing whether he is telling stories; picturing characters or creating an abstract ballet out of classroom steps. 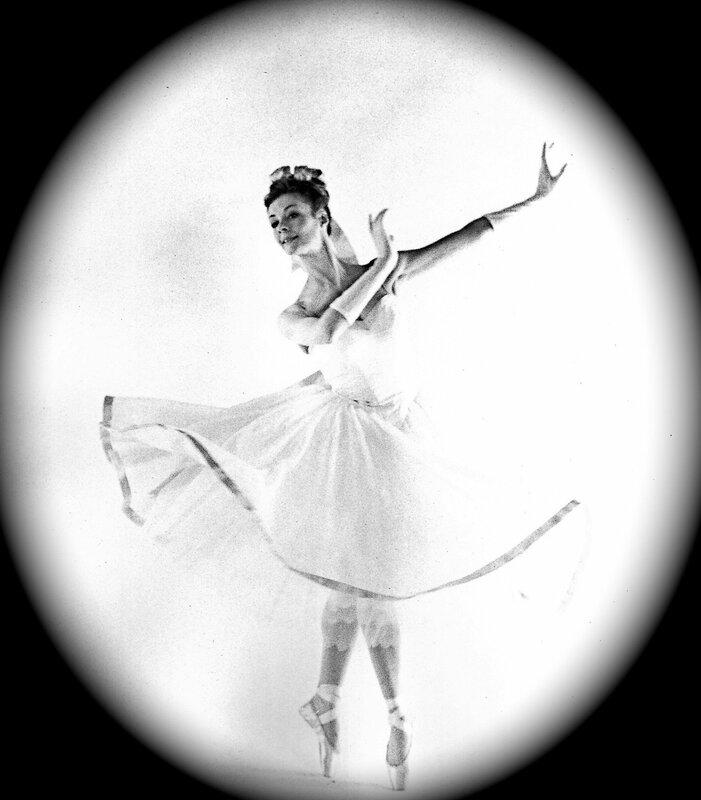 It seems to me that Anita Young summed it up perfectly when she said at a recent London Ballet Circle words to the effect that when she watched Symphonic Variations she could identify each of its component parts from Cechetti's classroom exercises and yet she could not explain how Ashton had transformed them into movements which in the context of the music seemed to fit it so perfectly and seemed so inevitable. I could say the same about Tudor's greatest works they also reveal the transformative alchemy which a truly great choreographer is able to bring to bear on the classroom steps which are his raw material.